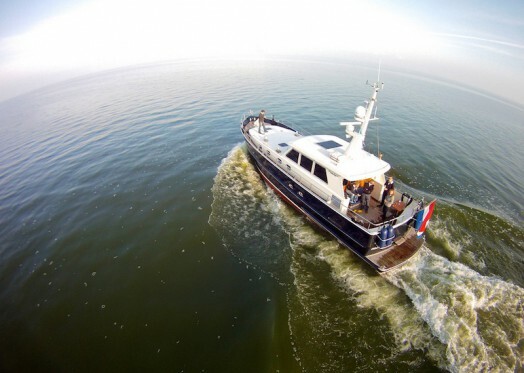 Last weekend we went on a trip with the Blauwe Boekanier, a Sturier 520 OC motoryacht. It’s a beautiful luxurious yacht. In Sturiers the emphasis is on seaworthiness. The stability curve and the oscillation frequency have an important part to play in the design of the hull, which determines the ship’s seaworthiness and its handling at sea. Take a look at the pics of the boat!